If you are looking to get your business a new logo that is free and can be made online, meet the ultimate free logo maker out there, Wix Logo Maker. Not everyone of us is good with those graphics programs out there. We can’t all create logos and designs on our own. So, how do we get logos for our website or blogs made when we don’t want to spend a ton of money on a professional designer? Getting a FREE logo that is custom made for your website or business is a possibility and doesn’t require you to learn any graphic design or illustration program for it. You will be able to get your hands on custom made basic logos for free using online tools. Just by dragging and modifying a few elements, putting in some text and composing the arrangement of the elements, you will be able to achieve the desired look. Once you feel that your logo is interesting enough, download and use it on your website (or in your business card). 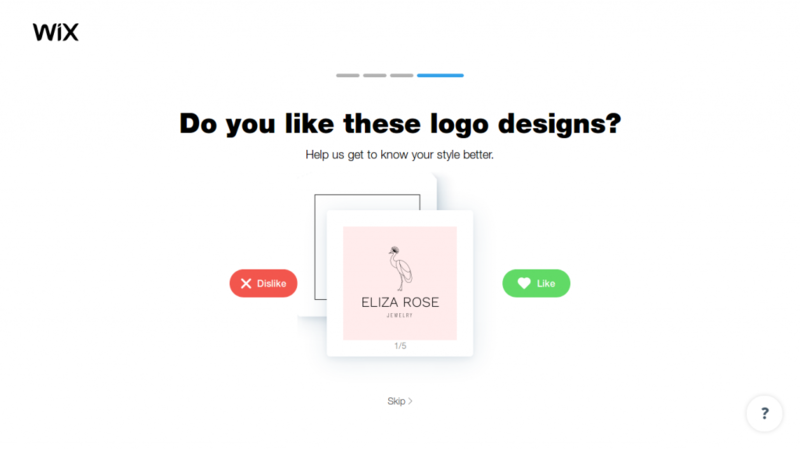 The brand new logo maker tool designed by the brilliant people at Wix is quite different from the tools that I have used in the past – it comes with logo options that are designed to fit your business or website. It works sort of like a wizard, and requires you to feed it some answers and pick the categories that describes your business or website in the best possible way. This will help the Wix logo wizard to create a logo for you, that better suits your needs. 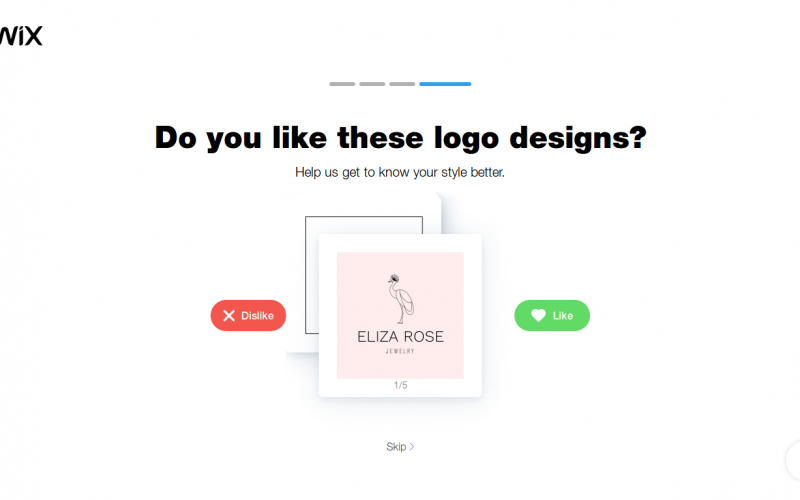 You can also show your interest on generated logos by liking or disliking it, this helps the wizard better understand your preferences, and provide options based on that. The Wix Logo Maker is a simple and easy to use tool. You can simply go to the website and click on the start button to get started. You begin by entering the required information. Answer a few questions, regarding your requirements and then you will get a range of logo options from which you can choose the ones you like. Then you can customize the selected logo to fit your needs better. Let’s take a detailed look at the process of making a logo using the Wix Logo Maker. Then, you will have to feed the wizard, your blog/business tagline and if it suits your business, you can give some quirky text that best describes your website. Then, mention the industry in which you are operating, so that the tool can suggest the right logo options, that reflect the aesthetics of your selected industry for you. You will have to submit your answers. The logo maker will generate a myriad of different logo options for you to choose from. You will be able to customize your logo design after that, to make it exactly the way you want it to look. Once you feel the desired look and feel is achieved, you can download your FREE logo design and use it on your website and other offline assets as well. You can choose which payment plan suits you best – free, basic, or advanced. The Wix Logo Maker is based on the freemium pricing model, it is free of charge for the basic usage, but in order to unlock more advanced options such as high quality vector files you do need to pay. The best thing about the Wix logo maker is that, you can not only design a professional looking logo with the Wix online logo maker, but also have the absolute right to use it freely for all purposes, including for commercial purposes, without having to attribute it to Wix. Many free logo makers will ask you for attribution, if you have to use it elsewhere. Which is not a very user friendly decision in my opinion. Since, your logo made with the help of the Wix logo maker tool comes with full commercial usage rights, you are completely authorised to use it on your blog, website, visiting cards and even on advertising materials as well. Do you have any other reservations against getting yourself a Wix subscription? Are you using any other logo maker at the moment? If you are an existing Wix user, what is your experience using Wix for your website needs? What do you think of its user interface and workflows? Let us know through the comments.